We already know Ronnie Fieg owns the summer with his sick kicks and it looks like Theophilus London is on the takeover as well. If you haven’t peeped TL’s latest single you need to get on that. To commemorate the track "Last Name London," Theophilus linked up with Fieg down in Santo Domingo for a one-of-one, none to come Triple Black Suede Sebago Loafer. This is what Theophilus had to say about the experience. "I met with Ronnie in Santo Domingo as he was designing his fall line for Sebago and he wanted me to design a shoe to perform in that night for the concert. 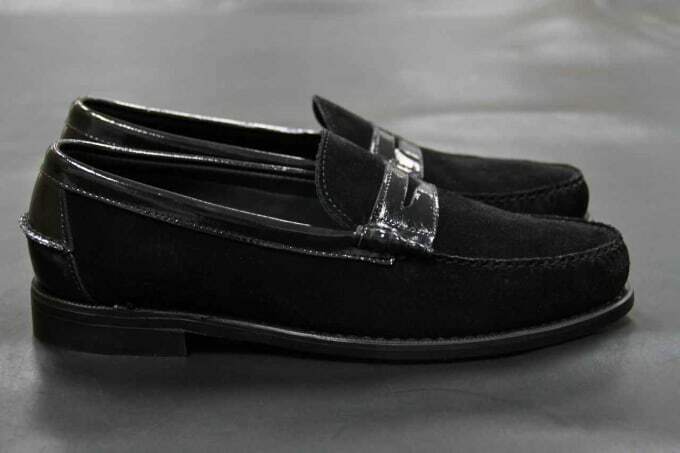 I nicknamed em "Prince TL&apos;s" but after Ronnie heard "Last Name London" we decided to design a loafer for the song. I&apos;m a shoe collector and a fan of suede and leather and I wanted to combine the two. There is only 1 pair in the world and they on my feet!!!!! Shouts to SEBAGO and Ronnie. SWAG SWAG"